4 Gennaio 2019 – W.A.P. 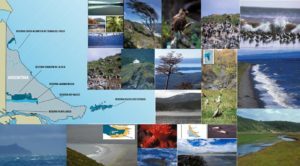 Hams of Radio Club Ushuaia plan to activate the six protected areas of the Tierra del Fuego Province, doing radio activity in each and every one of them. Date will be announced gradually as long as each the small expedition is fully organized. The tentative calendar includes January, February and March 2019. To WAP ARG-23 belongs Puerto Almanza (54°52’12″South 67°33’51″West), a town in the Ushuaia department, of the province of Tierra del Fuego. In this site, there is a monitoring and control post for maritime traffic of the Argentine Navy. Same reference is for Base Naval Buen Suceso (LU1XY/X) and Isla Redonda on the Beagle chanel. Buen Suceso is a small bay located on Peninsula Miter on Le Maire Strait, in front of Isla de los Estados (Staten Island) in the department of Ushuaia, on the east coast of the Great Island of Tierra del Fuego. In the place, since the mid-88 there is a Navy Base with heliport; it’s an excellent support since it has powerful radio equipment which provide maritime traffic control, thus ensuring efficient communication with Ushuaia. The Buen Suceso surveillance post, is covered by an officer and five non-commissioned officers who are periodically renewed. They have the mission to control of maritime traffic in the area of influence and provide assistance to vessels sailing through the Strait of Le Maire.